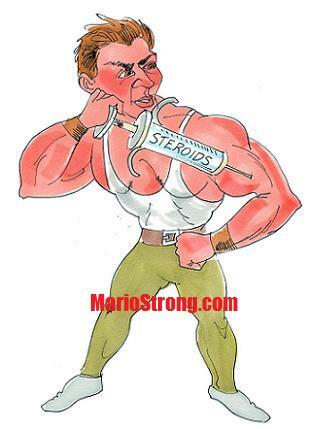 The first time I ever heard about steroids was from a friend who was on the New Dorp High School varsity football team. My friend was a big, burly sort of guy who was scary to look at but friendly in his mannerisms. One day, while on the bus ride to school, we discussed training and supplements. Mysteriously, my friend looked around to see if anybody was watching and pulled out a bottle of blue tablets from his jacket. He said they were called Dianabol and had helped him gain size and strength. He also went on to say that many members of the football team were using them for the same purpose. He recommended that I go see his friend and get some Dianabol to help me with my bodybuilding. After classes were dismissed for the day, I walked to the local health food store and spoke to a man named Charlie Siegel who was the co-owner of Family Health Foods. I figured if anyone knew about the benefits of Dianabol it would be Charlie, since he was a former bodybuilding champion during the 1950s, and was as big as a house. Charlie grabbed me by the collar and warned me that Dianabol was an anabolic drug. He stated that many bodybuilders who used the drug had damaged their major organs and went bald before they were thirty. I didn’t want any of that! I was training not only to build muscle, but also for health and longevity. I took Charlie’s words to heart and the next day I told my friend about the dangers of the drug and that he should stop taking them before he suffered some serious side effects. He just shrugged me off, saying, “I need them for football and don’t care about any possible future side effects.” This was in 1971! Not much has changed since. Throughout the centuries, the concepts of physical culture have evolved from the raw Grecian theatres of the 600 B.C. era, where stone trained athletes such as boxers, wrestlers, and strongmen would compete against one another, to the modern day physique man, whom science and technology has provided the latest state-of-the-art fitness centers and nutritional know-how to create huge muscular physiques with power to match. In the 20th century, bodybuilding came of age in America. With its roots as a sideshow attraction, to becoming a billion dollar industry, it has branched out to become a staple of the American culture. Today, bodybuilding can be found not only on the physique stage, but also in many endeavors of society, such as entertainment, sports, politics, and the medical field. What began as a noble effort towards health and fitness by some, slowly evolved into a drug-laden sport filled with lies, deceit, illness, and even death! In 1977, while participating as a judge in Dan Lurie’s WBBG World Bodybuilding Championships at New York City’s Madison Square Garden, I had the good fortune to be sitting in front of the honorary guest of the evening, Mr. Steve Reeves. During the intermission, I introduced myself and broke into a conversation with the legendary Hercules. One of the topics I recall Steve Reeves being passionately against was the use of anabolic steroids in the sport of bodybuilding. That evening, Steve Reeves told me that the sport of bodybuilding would split into two different philosophies (this was long before the evolution of natural bodybuilding ever took hold). He also stated that bodybuilders who continued the use of chemical agents to enhance their physiques risked not only impairing their health but death as well. Decades later, the predictions of this Herculean legend came true, as many amateur and pro-bodybuilders alike died long before their time, leaving a trail of dead bodybuilders across the globe. Before we can ever hope to see bodybuilding return to its roots in physical culture, we will first have to witness a ‘new way of life’ throughout our society. There will have to be aloud cry from the public for an end to the nonsense and an awakening to the fact that drugs are ruining not only the health of many Americans but also destroying our culture as well. Since the early days of physical culture, modern man has been searching for the elusive Fountain of Youth. The promise of radiant health, enduring strength, and a Herculean physique has drawn millions on this quest for physical perfection. Arguably, the first physical culturist in America was Bernarr MacFadden. MacFadden, who is often referred to as the Father of Physical Culture, was internationally-known during his lifetime. He authored many fine articles and books on the positive effects of weight training as it related to mental health and fitness. A muscle builder from the late 1800s, MacFadden became renowned throughout the world as a pioneer in physical culture and muscle building. His philosophy was among the first to plant the seeds of what would one day become the sport of bodybuilding. Through the early decades of bodybuilding, the forefathers of physical culture established basic guidelines for the muscle enthusiast to follow. Natural foods, resistance training, plenty of rest, and a positive outlook on life were the primary ingredients for achieving one’s goals. Gradually, as the interest in physical culture increased, the demand for knowledge on how to become a he-man would result in millions of booklets being sold by mail order, while magazine stands and bookshelves were continually being restocked with the latest ‘muscle building secrets.’ With this quest for knowledge, tons of steel and exercise equipment would also find its way into the homes of thousands of Americans all across our nation. Eventually, health clubs and iron gyms would sprout up in local neighborhoods and towns, while physique competitions were held to determine who the best in the land was. The strong roots of physical culture were taking grip in our society, and the mighty oak of bodybuilding would soon branch out through every city in America. A new way of life became a reality for many as the “body beautiful” movement swung into high gear. For decades, the much-traveled road to Muscledom kept its promise. Then, in the early 1960s, what seemed pure and natural took a wrong turn as the course of modern bodybuilding changed direction and headed towards a dead end. The introduction of anabolic steroids into the sport would usher in a new era of super-sized and equally strong muscular physiques that would attract millions of young men who desired to achieve the same goals, but was unattainable naturally. Along with the growth of the sport, the physiques continued to become bigger and increasingly vascular as the bodybuilders experimented with “stacking” the latest in designer muscle enhancing pharmaceuticals. Magazine and ticket sales were at a peak and bodybuilding competitions were seen regularly on network TV. The popularity of the sport was soaring high. Then, what could have been mostly prevented by not promoting and rewarding individuals whose physiques were chemically-altered became a reality as the widespread use of drugs in the sport of bodybuilding became relevant. Words such as steroids, cycling, and growth hormones became commonplace in our gyms and juicing no longer meant enjoying your favorite health drink. Reports of bodybuilders on dialysis and with heart ailments became a frequent occurrence, while the eventual death of several competitive pros hit home hard. What had been a dark cloud over a sport with such great potential turned into a storm that spread its vast shadow on a culture that once shined with pride. During my Staten Island Bodybuilding Club’s first few years of existence, I was somewhat naive to the widespread use of steroids in bodybuilding. Although I knew they existed I never gave much thought to the matter. Back in the 1970s, my gym was somewhat isolated from the metropolitan area and the steroid scene. We believed that in order to get huge you had to train big and eat right. You had to get your rest and be consistent at the gym. We never considered the use of drugs for the purpose of building muscle and gaining strength. To us, it was not only unhealthy but also a means of cheating. Eventually, the steroids did make their way into Staten Island’s gyms and my club was no exception. It would not be until early 1980 that some of my members began to experiment with the chemicals. As much as I and other members preached about the dangers of steroids, our good intentions went in one ear and out the other. The steroid scene on Staten Island became so bad that when new members joined my club the first thing they would ask was, “What steroids should we take for maximum results?” It was a new generation of bodybuilders on the Island. They wanted results overnight and did not care about what ill effects stood before them. The battle had begun! Results that took natural bodybuilders years to accomplish were now being realized in a relatively short period, with less pain and sweat to show for the gains they displayed. I saw gym members become massively huge and extremely powerful practically overnight. I also saw some of the early side effects that such practices brought. It did not matter to the muscle-heads. To them, life was about the moment and they weren’t concerned about the future or living a long healthy life. I even had the unfortunate circumstance of learning that a couple of my members were trying to sell drugs right out of my gym. To say I became a little violent with them would be an understatement, but such action was needed to serve as a warning to those who would dare push that crap in my establishment. Since the early 1990s, the sport of bodybuilding has been plagued with a succession of tragedies and near calamities that cannot be excused as mere statistical coincidences. Our once great and noble sport has reached a time in its history that must not be ignored. Because of the use of chemical agents in the sport of bodybuilding, many muscle builders, both pro and amateur alike, have become walking time bombs with the sad prospect of a future lived in ill health and possibly an untimely death. When you consider the use of enormous amounts of anabolic steroids, growth hormones, and insulin; combined with an exotic array of “get high” substances and narcotic pain killers; along with consuming huge quantities of food every couple of hours to add mass; followed by a competitive lifestyle that requires losing up to fifty pounds of bodyweight and then peaking on the day of a physique competition by means of diuretics, so as to be bone dry and severely dehydrated on the competitive stage; you don’t have to be a rocket scientist to realize that such a regimen is a formula for disaster. At the beginning of the 21st century, muscles that were once a sketched representation of an artist’s wild imagination finally became a reality, as the proportions of the pro-bodybuilders grew into freakish, cartoonish dimensions that were seen in lineups throughout the competitive bodybuilding world. By 2008, the use of performance enhancing drugs in America became so prevalent that our win-at-all-cost culture became the subject of the limited theater-released documentary Bigger Stronger Faster. The film, which gives an objective view of the steroid argument, takes an in-depth look at our society that rewards speed, size, and above all else winning: winning in sport, in business, and at war. It examines the reasoning why so many of America’s heroes are on performance-enhancing substances and how their practice has influenced new generations to follow in the same manner. The very existence of such a film says volumes about how deep the roots of steroids are within the core of our society. I am afraid it will be many decades before the anabolic tree rots and the sun once again shines on the sport of bodybuilding. To save certain athletes from themselves, and to save the sport of bodybuilding, an overhaul of how physiques are judged must take place at many bodybuilding competitions held in America and throughout the world. The powers that be must make a commitment to return competitive bodybuilding to a celebration of life, not a shortening of it. In 1979, while once again participating as a judge for Dan Lurie’s WBBG World Bodybuilding Championships, I had the pleasure to meet the ambassador of natural bodybuilding, Mr. Chet Yorton. Chet was a renowned physique champion who, in 1975, created the Natural Bodybuilder’s Association (NBA), the first federation to test for drug use at all of its competitions. Earlier in his competitive career, Yorton was introduced to steroids by a top bodybuilder who advised him to take the muscle building pharmaceuticals. Hesitantly, Chet first spoke to a doctor who warned him about the possible side effects of these dangerous drugs. Chet took the doctor’s words to heart and immediately began a lifelong crusade against the use of drugs in bodybuilding. By 1981, the former Mr. America and Mr. Universe legend became deeply entrenched in his cause when he published the magazine Natural Bodybuilding. The magazine educated the public on the dangers of steroids while also providing media exposure for bodybuilders who chose not to use the physique enhancing substances. 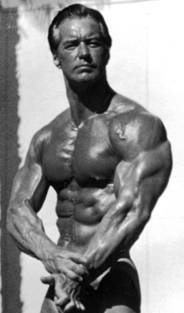 Chet Yorton (see photo) was a visionary who pioneered the sport of natural bodybuilding. Decades ago, he saw that bodybuilding was headed in the wrong direction and chose to create a new path for modern day physique artists to follow, as they too, would eventually inspire others to embrace this new way of life. Early in the 21st century, this senior pioneer of the natural bodybuilding movement not only continues to promote the sport that he loves, but also continues to shine as an example of the benefits of healthy living. Today, the battle against drugs in the sport rages on as many organizations dedicated to natural bodybuilding and healthy living have responded with an Anabolic Revolution, by calling for a return to the ideals set forth by the forefathers of physical culture. On the physique stage, promoters throughout the U.S. and across the globe have created natural bodybuilding competitions so athletes can compete on a level playing field without running the risk of ruining their health. Publications featuring natural bodybuilders are now widely read as the gospel of healthy living (through proper nutrition and exercise) is communicated to the masses. The televised media has joined in the fight by broadcasting natural bodybuilding and fitness programs to inspire future generations of muscle builders. Today, with the age of cyber space upon us, the Internet has become a learning resource for concepts and advice, and a place for bodybuilders to express their views. The new millennium is here, and those dedicated to physical culture have begun to prevail, as the radiant beacon of light from the torch of natural living begins to shine through the storm. Maybe it’s just me, but after reflecting on the previous two chapters, I wonder how any rational being could ever put any of the mentioned chemical enhancers into his or her body for the purpose of bodybuilding. Drugs take the body further than nature ever intended it to go. When bodybuilders take drugs for the purposes of building muscle, gaining strength, losing fat, dropping water, getting high, blocking pain, or whatever, without the sound medical supervision of a qualified MD, they are participating in a reckless behavior that could have some serious consequences. Life is short enough and risking it to such senseless practices says a lot about those who partake in such self-destructive behavior. Over the decades, I have seen thousands of pill poppers come and go in our sport and I am sure I will continue to see many more in the future. To endure in bodybuilding and enjoy a full, radiant life, you have to make health your number one priority and not destroy it with irrational acts. Unfortunately, many newcomers to the sport of bodybuilding look at some of these “champions” in awe and disbelief. They read the muscle magazines and go to the muscle shows, and soon learn that they want to emulate their newfound heroes. They become motivated and inspired by these superhuman men and women and want the same naturally unattainable goals. So what do they do? They hook up with the local gym pusher. Just about every muscle gym has one. These drug merchants who seem to be able to come up with every form of anabolic steroid and other performance enhancing substance ever created. These rodents of the iron game spend most of their time in the club locker room, making a living selling these dangerous drugs right out of their gym bags. I have personally have encountered such individuals through the decades and when necessary have had to use physical force to rid their sorry asses away from the young bodybuilders. When a bodybuilder starts using steroids, he or she experiences relatively quick gains in both muscle mass and strength. As the gains are realized, some bodybuilders experience painful muscle tears, pulls, strains, and debilitating injuries; partly because the steroids they took did little in the way of strengthening their tendons and ligaments. Another problem for anabolic bodybuilders is that they develop a tolerance for the muscle building chemicals and soon find themselves requiring larger doses of the drugs to maintain their already ill-gotten gains. Soon, they become dependent on the sport’s enhancing substances, not only physically, but also psychologically. They watched their bodies become muscular and powerful with the aid of the drugs and the last thing they are going to do is stop taking them and chance losing some of their artificial gains. Instead, they begin swallowing and injecting even larger doses in hopes of adding greater muscle mass and strength, and soon learn how to stack and cycle the various pharmaceuticals at their disposal. They become hooked on the deadly chemicals and head straight down a dead end. Eventually, they crash and crumble from the poisons poured into their formerly healthy bodies. On a local level, in the 1980s there was a popular Staten Island bodybuilder who went by the nickname of Dr. Big (he wasn’t a real doctor, but acted as such). Dr. Big trained at another gym on the Island and whenever we met, we would both get into a heated debate on the use of anabolic steroids for the purposes of building muscle and gaining strength. Dr. Big actually believed that drugs were the way to go and that the possible side effects were minimal. Although he trained hard and was consistent at the gym, he relied greatly on chemicals for his enormous size and power. During this time, Dr. Big was injecting various substances into his body, while also preaching to others how pharmaceuticals were needed to make gains. Unfortunately, Dr. Big did influence some naïve bodybuilders who followed his example and risked destroying their health by taking the sports enhancing substances he prescribed. Again, it came as no surprise to me when one day I received a phone call from a friend stating that Dr. Big had died of a massive heart attack. He was only in his early forties and had a whole life in front of him. Sadly, he became just another statistic on an endless list of preventable tragedies. Throughout the decades, I have witnessed many bodybuilders I knew personally, take ill, or even die, because of anabolic steroids and I find it sickening. Not too long ago, a member of a gym I train at informed me that he was suffering from liver disease. This fellow holds some national powerlifting records and is pleasant to talk to. He was also very muscular and had enormous strength because of the drugs. Several times over the years, he stated to me that he was going to get off the chemicals. Nevertheless, every time he tried, he lost his gains and returned for his fix. Unfortunately, he returned to the syringe one too many times and now has not only lost everything he has trained so hard for, but may lose his life as well. Another local Island muscle builder who fell under the spell of the dark cloud years ago is now paying the price for his ill-gotten gains. Now in the prime of his life, when he should be enjoying the benefits of all the hard work he put in the gym, he is instead suffering with degenerative bone disease and rotted tendons throughout his entire body. His future looks very bleak, as he may one day need to permanently trade in his crutches for a wheelchair. Certainly, their temporary gains weren’t worth all the pain and disease. When you take illicit drugs for the purposes of building muscle and gaining strength, you take your body further than nature ever intended it to go and you put your life at risk. America awards those that are bigger, stronger, and faster. This is a fact that cannot be denied. We have professional athletes who have made fortunes because of their enhanced athletic abilities, and many who have even gained fame on an unimaginable scale. As well publicized as the abuse of drugs in sports is, we as a nation continue to applaud the chemically-driven accomplishments of the artificial champs by filling stadiums with fans and purchasing products they endorse. Our homes, workplaces, and schools are filled with those wanting the same glory as the athletes whose images constantly appear in the media outlets. These wannabes train hard for their teams and for themselves. Some even have aspirations of grandeur when it comes to emulating the champions they believe in. Unfortunately, there comes a time when the trainees are pressured by their teammates, goals, and desires. Many take the high road and stay away from sports-enhancing substances, but sadly, many more do not. Because of these pressures to succeed, is it any wonder why the use of these substances has become so abused and prevalent among our population, especially the young? However, as prevalent as these drugs are in the sports arenas, they pale in comparison to the multi-billion dollar tobacco and alcohol conglomerates. These mainstream corporations spew out their well documented, health destroying products by the ton on an American public that has witnessed the horrors of what these legal items can bring. Nevertheless, as much pain and suffering as these products have brought, they are still used in great deal by those that know better. We are a nation on drugs! I’m not only referring to the feel good or sports enhancing substances. We rely on all sorts of goodies to get us through our day. Go to any local pharmacy and you will find many varieties of tranquilizers, pain relievers, beta-blockers, anti-inflammatory agents, allergy relievers, decongestants, and even some drugs for improved sexual performance. They’re all there, some by prescription, some over-the-counter. The point is that our society has become chemically-dependent and it should come as no shock that many muscle builders find it easy to include sports-enhancing substances into their regimens. Living in the free society we do enables us to make choices to fulfill our wants and needs. Those lucky enough to be born with a sound mind and healthy body have the opportunity to live a long, radiant, and full life. Unfortunately, some of the choices we make can come back to haunt us. The use of alcohol, cigarettes, exotic drugs, and performance-enhancing substances, among other things, has been well-documented in leading many promising lives down a dead end road. The drive to satisfy some egotistical warped visions of grandeur within our sports-minded-culture is just mindboggling. I will never understand why anyone would risk destroying their most important possession, their health. The purpose of this chapter is not to judge those who use enhancers, but rather, to give warning to the possible side effects that these dangerously powerful drugs can bring. Many decades ago, I made my choice towards health and longevity, and never looked back. Each one of us gets just one shot at life. Once our story is written and played out, our script is placed on a shelf, forever. Some of us have many chapters in our lives. Some unfortunately, just a few pages. I am going to do my best to make my story a lengthy and honorable bestseller. How about you? Listen to a MUSC health podcast regarding steroid use among teenagers.